100% terry cotton bathrobe for kids. It comes with pocket and belt. With Erreà logo embroidery. 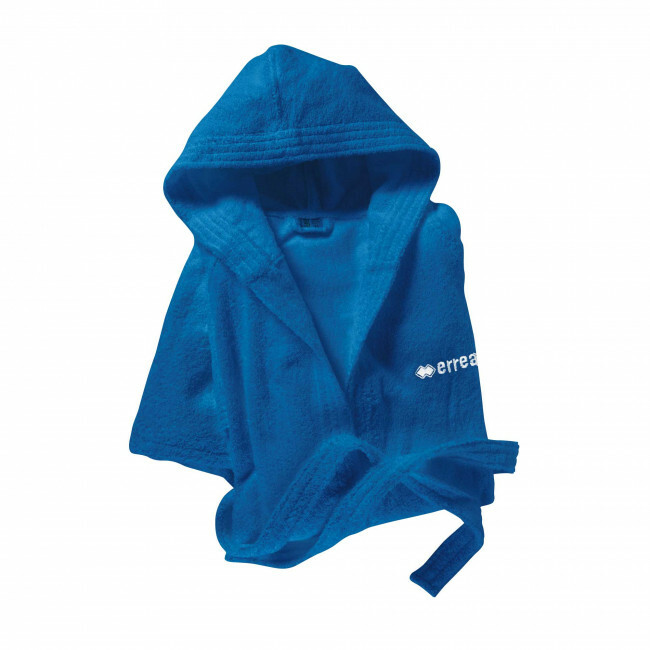 Erreà bathrobe for boys has been conceived to feel your skin soft and provide the greatest comfort after a relaxing bath or shower. Provided with hood to help you dry your hair, it is practical and versatile so that you can perfectly use it at home, at the gym or in the changing rooms, even after a fierce competition. Machine washable with other garments, it does not shrink and maintains its original shine. Being made of terry cotton, it is super absorbent and will immediately dry your body.